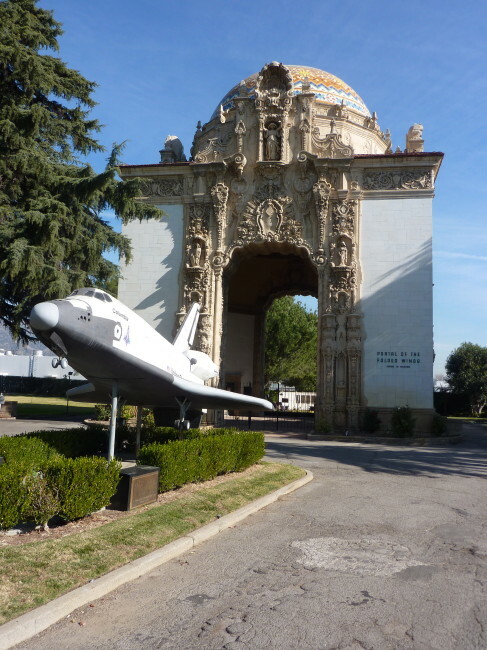 I’m guessing that any of you who have flown in and out of Bob Hope Airport in Burbank have never traveled the short distance to see The Portal Of The Folded Wings in Valhalla Memorial Park. I hadn’t either until recently. Once the grand entrance to this park, The Portal Of The Folded Wings was constructed six years before the airport. It was dedicated as a Shrine to Aviation on December 17, 1953, which was the 50th anniversary of powered flight. 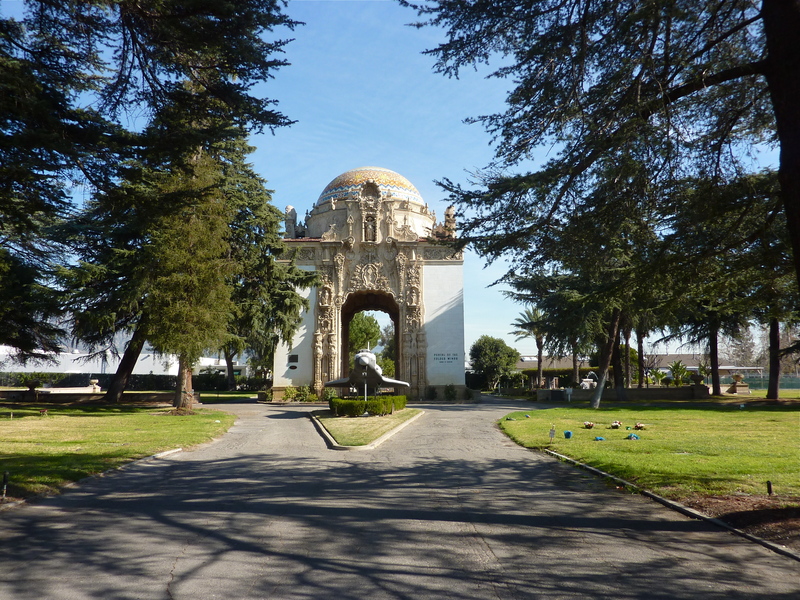 Aviation enthusiasts wanted there to be a final resting place for pilots, mechanics and other pioneers of flight. 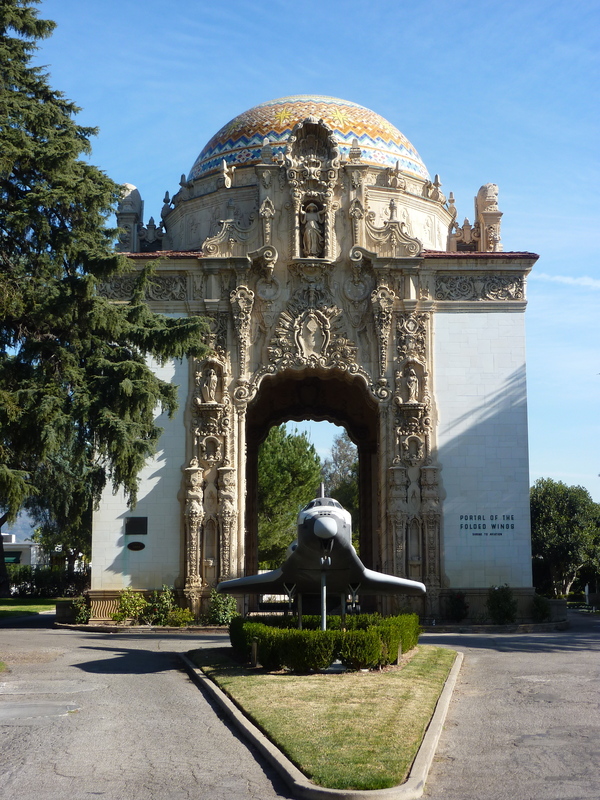 The Portal Of The Folded Wings is listed on the National Register of Historic Places. On May 27, 1996, it was rededicated by Dr. Tom Crouch, Chairman of the Aeronautics Department at the National Air & Space Museum of the Smithsonian Institution. 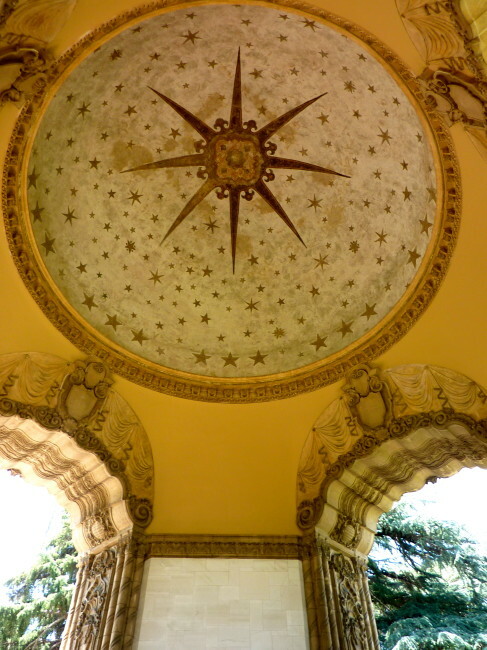 The shrine is 75 feet tall and constructed marble, mosaic and sculpted figures. 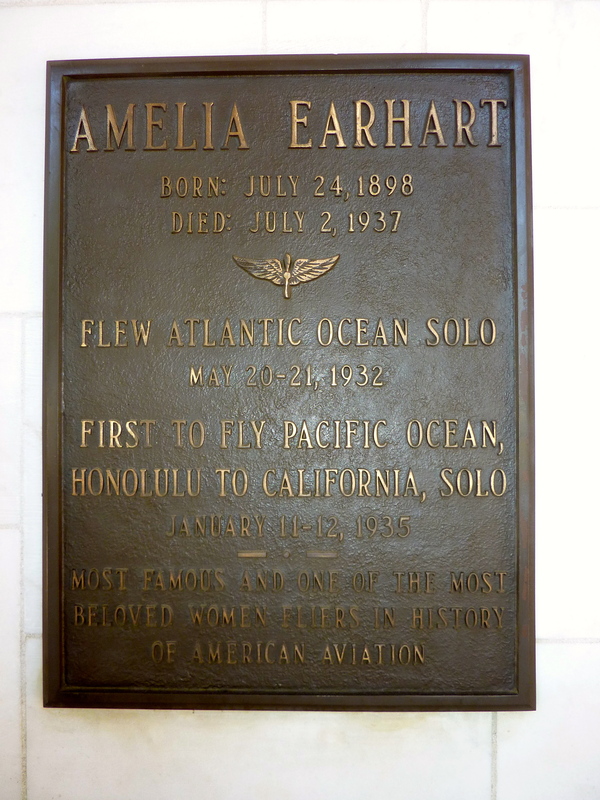 It is also the burial site for 13 pioneers of aviation including Matilde Moisant, who in 1911 became the second licensed female pilot in the United States; Charles Taylor, mechanic for the Wright Brothers; and Bertrand Blanchard Acosta, Admiral Richard Byrd’s co-pilot in 1927. Acosta was known as the Bad Boy of the Air. 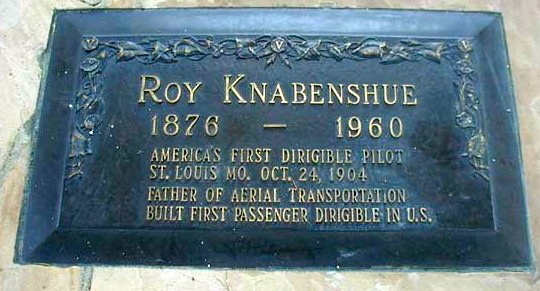 He received numerous fines and suspensions for flying stunts such as flying under bridges or flying too close to buildings. 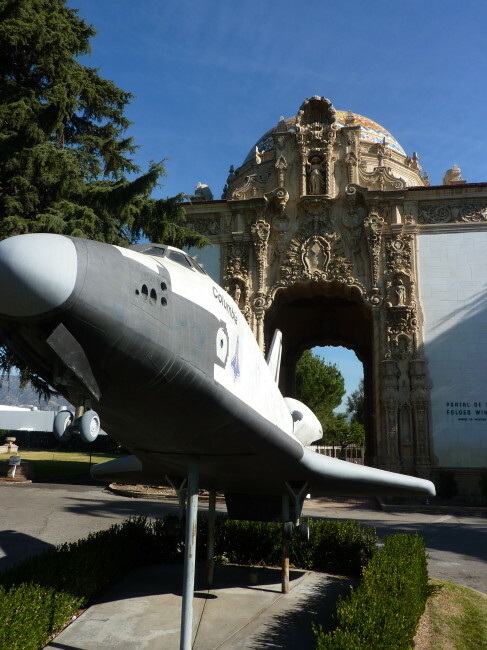 In April 1927, he and Clarence D. Chamberlain set an endurance record of 51 hours, 11 minutes and 25 seconds in the air. 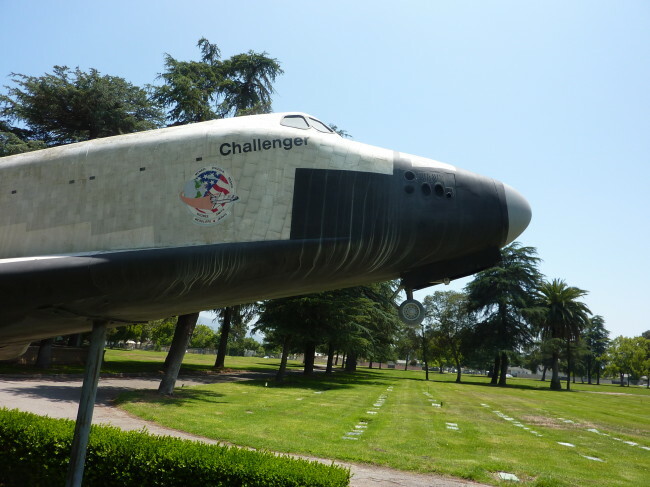 The replica of the Space Shuttle in front of the monument pays tribute to the crews of the two shuttle missions that ended in disaster. 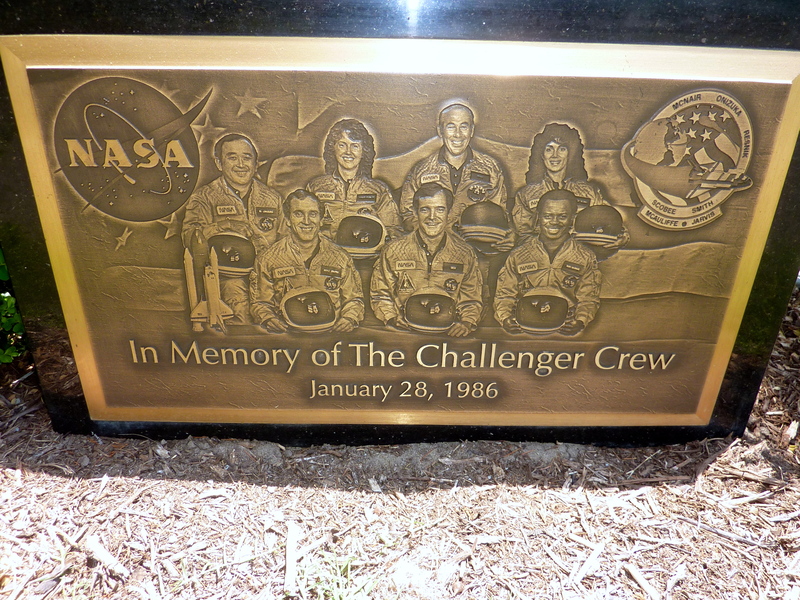 On one side of the shuttle, you see the name Challenger, while on the other side the word Columbia is seen. There is a plaque dedicated to Amelia Earhardt, also located inside the shrine. 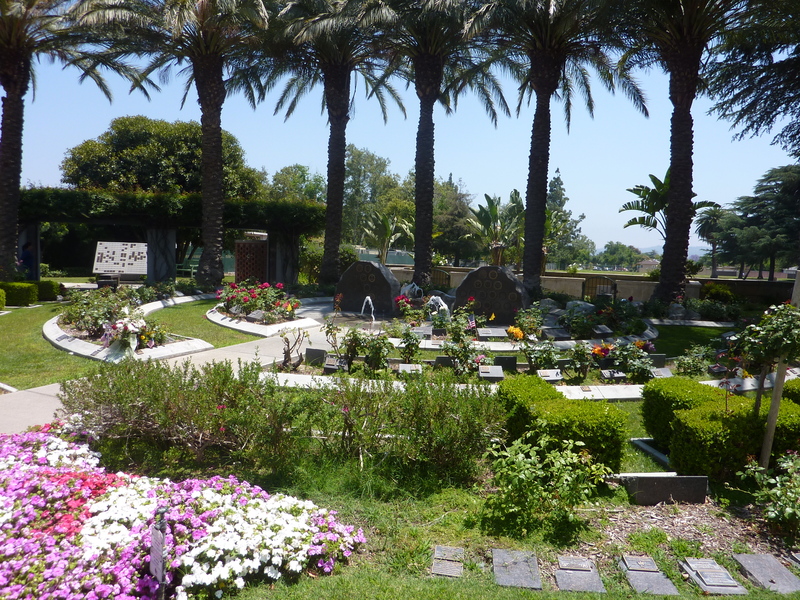 Right next to the shrine is a lovely garden. Valhalla Memorial Park Cemetery is located at in North Hollywood, but the monument is actually in Burbank.